Winter is Coming! Don’t be like the scheming folks at Westeros who looks like they will most likely be caught with their pants down when the cold weather (and other unworldly creatures) hit them. At least Westeros has the motley crew of the Night’s Watch to give them some semblance of protection. People like us need to take a little more precaution. With the right gadgets, winter can be more bearable or even can be a whole lot of fun. Also in the spirit of the holiday season, you can make use of this list of “10 Gadgets to Prepare you for Winter” for gift buying ideas. Make winter a happy occasion for all your loved ones as well. 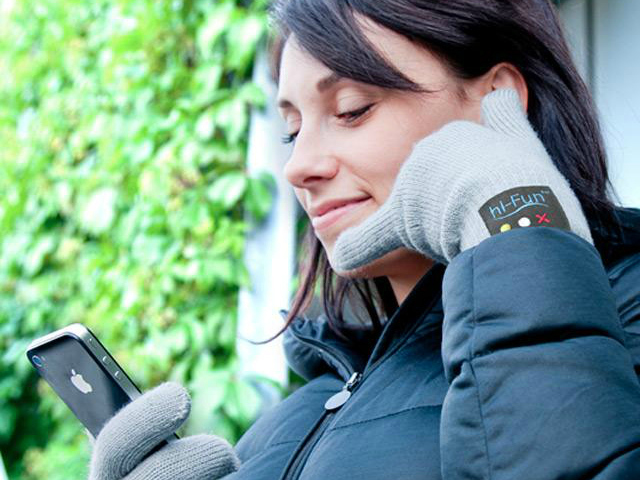 We have heard of hands-free calling the device but the Hi-Fun Hi-Call Bluetooth Glove is not one of them. It is definitely and hands-on calling device. This pair of winter gloves has a built-in microphone and speaker embedded inside. To answer a call, use the universal “call me” hand gesture with the thumb in your ear and your pinkie finger at your mouth. The Bluetooth Glove connects to your phone via Bluetooth and it even lets you operate your phone’s touch screen while wearing the gloves as it has built-in capacitive tips. Last but not least, the glove’s cuffs has buttons for accepting and rejecting calls. Lots of snow means only one thing. Snowball fights! 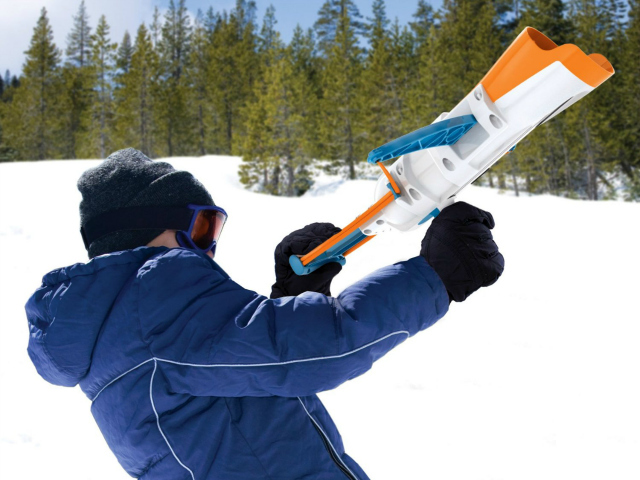 Get prepared this winter by giving yourself an advantage in a snowball fight with the Whamo Snow Crossbow. The crossbow can shoot a snowball up to 60 feet. All you have to do is load a snowball in the front of the crossbow, pull the lever, aim and fire. Before your opponent even realizes what has happened, you are already moving on to the next target. Whether its a hot sunny day or freezing cold outside, you will still need your trusty power bank to provide your mobile devices with enough power to last through the day. Power banks like many electronic devices are affected by the temperature, meaning that they don’t work as well or don’t work at all. 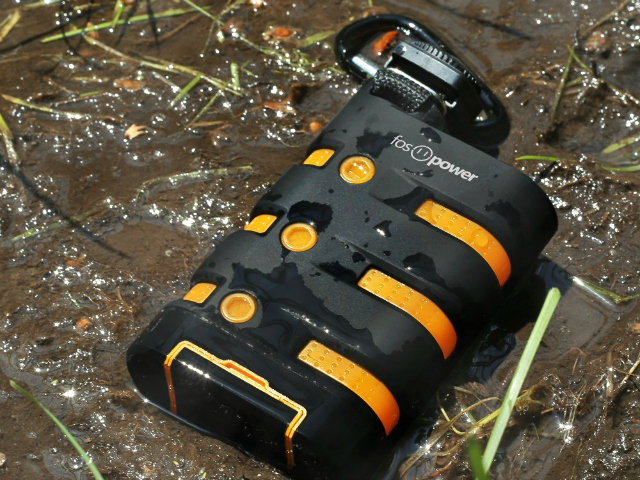 The FosPower PowerActive 9000mAh Rugged Power Bank is deigned to work under most extreme conditions from water resistant to dust resistant to even snow resistant. It’s the perfect companion in winter for all your mobile power needs. Cold like many things is relative. While you may find the chilling temperatures of winter a perfect relief from the stifling heat of summer, others may find winter a little too cold for comfort. This is an even bigger problem when the other here refers to your sleeping companion. The ChiliPad may very save you and your companion unnecessary arguments on the room temperature. With the ChiliPad, each of you can set his or her half of the bed to any temperature he or she wishes adjustable in 1 degree increments from 46° F to 118° F.
While many of us like the idea of having a warm and cozy fireplace when the temperature starts to drop, not all of us can have the luxury of having one. 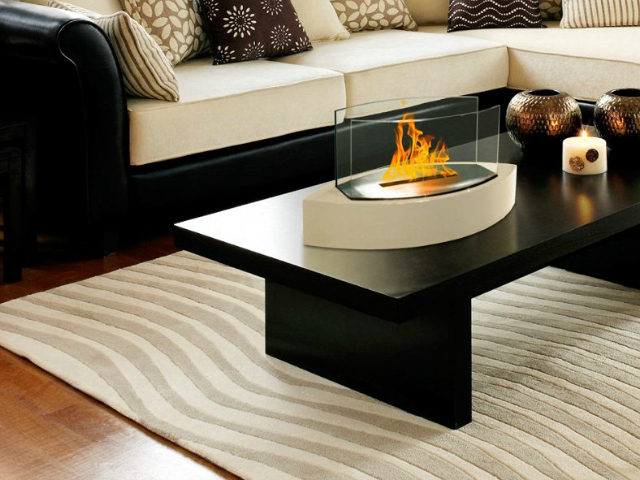 Well, luckily for us, the Lexington Tabletop fireplace from Anywhere Fireplace is a portable fireplace that produces no smoke or soot but yet produces real flames with warmth, lighting and the ambiance like a real fireplace. Instead of wood, it uses bio-ethanol liquid fuel and a liter of the stuff will last as long as 5 hours of burning. Best of all, unlike a real fireplace, there is almost absolutely no cleaning up after. Fireplaces are one of the best things in winter. There is almost nothing else like gathering around one and spending time with loved ones. You know what can make things even better? 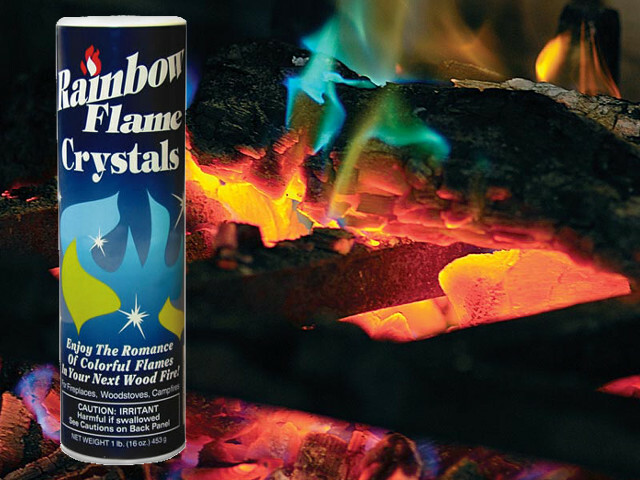 Rainbow Fireplace Flame Crystal. Sprinkle some of the crystal into a fireplace and watch the flames burn in spectacular hues of blue and green. It’s almost as fun as watching a fireworks display. The Rainbow Fireplace Flame Crystal work with any wood fire both indoors and outdoors. While you can easily purchase a pair of touch screen gloves that are specially designed to work on any capacitive touch screen on either a phone or a tablet, what if you have a favorite pair of gloves? With AnyGlove, you can turn any of your existing gloves into a touch screen glove, saving you money at the same time. AnyGlove is a chemical solution that you apply to the tips of the gloves. Each bottle of AnyGlove is enough to treat multiple pairs of gloves. Predict the weather using witchcraft. Well, not really but to those who don’t know the science behind it, the Tempo Drop Weather Forecasting Storm Glass can look like witchcraft. The storm glass is a sealed glass containing a chemical compound that changes when the weather outside is about to change. When large flakes start to form in the storm glass, it means you better bundle up and be prepared for snow. 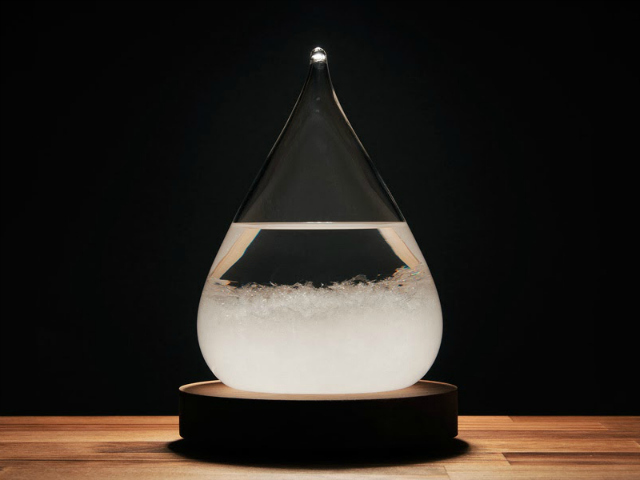 The storm glass can also predict thunderstorms and of course bright sunny days. Do you suffer from cold feet? 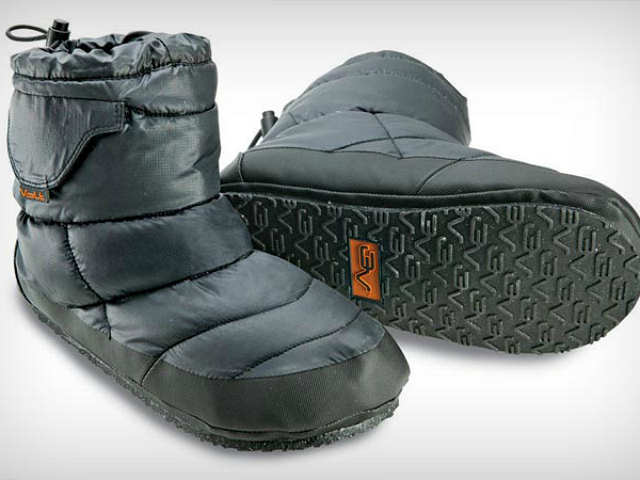 You can now keep both your feet warm and toasty this winter with the battery powered Volt Heated Slippers. They heat up almost instantly and you can wear them both indoors and outdoors. The Portable Tow Truck is something that every driver needs when driving in winter. 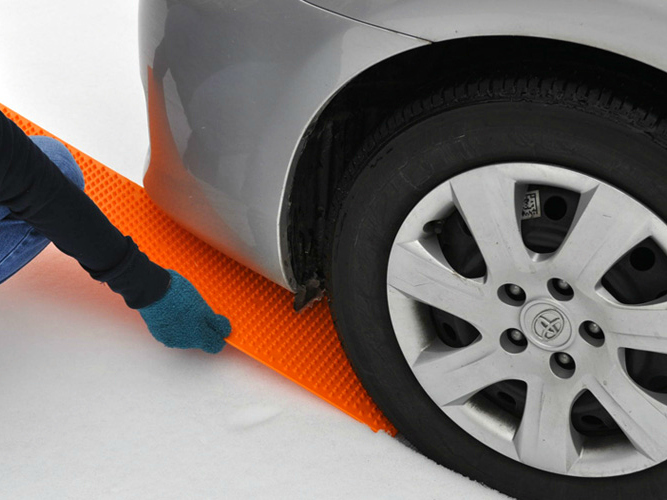 This ingenious device is a traction mat that is designed to get your car out of a tight spot and save you from costly tow truck charges. Simply wedge it under the pulling wheel and drive away safely.